The lights went up, the seats before the main stage emptied - and all of a sudden, things felt ... flat. And lonely. 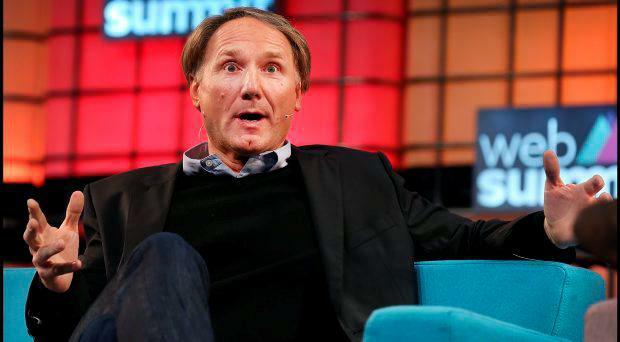 Yes, the Web Summit is a grand town hall meeting of geeks and boffins. All that hot air would generate a substantial spin-off ballooning festival. The conversations on stage would, for the most part, make your eyes drift to the chatter of your favourite social media sites - probably the vicious circle that has made the Summit such a success in the first place. And after the first day here, the excitement and the razzmatazz definitely wears off to be replaced by a jaded, nervous tension neatly summarised as Too Much Tech (and coffee). But now the Web Summit is gone, it's a little emotional. No more 40,000 world-shapers eating, drinking, sleeping and tweeting their way around the capital. Among them were billionaires and multi-millionaires like John Collison of Stripe, Palmer Luckey of Oculus, 'Da Vinci Code' author Dan Brown and Bill Ford, great-grandson of Henry - who were all strolling around this time and who, presumably, did not skimp on their stay. Where else could you casually bump into Steve Angello, formerly of the Swedish House Mafia - who would then proceed to chat to you about great this event was, how he was looking at investing in Irish startups and how surprised he was that more music people weren't here. Or hear author Dan Brown say that he might consider setting a novel in Ireland. This is about much more than the money and the name-dropping though. This is about something Irish, born and bred, which has just picked up its bags of unique, nerdy, nervy, energy - and checked out. Paddy Cosgrave may have built it - but we all felt we owned the Web Summit. Even Cosgrave himself sounded a little melancholy, as he gave a final, impassioned speech about how "Dublin will always be in our hearts". But already yesterday, the decorators were in - planning a bigger, better and shinier event next year. Strolling through the RDS yesterday was Liam Mahon, co-founder of Perception - a media company, which is designing the Web Summit in Lisbon. The 32-year-old from Co Wexford is based in The Hague in the Netherlands and told the Irish Independent he sees a lot of room for improvement. He plans wraparound screens that will deliver a 'virtual reality' landscape for attendees. By night, the space will transform into a venue. "No need to go into town," he said. On the final day, the biggest crowds flocked to hear Brian O'Driscoll and Rio Ferdinand warn comically of the dangers of drinking and tweeting. Both had fallen prey to those fatal charms. "I've been hacked," joked O'Driscoll, "At half four in the morning." The conversation with Dan Brown saw him mull over the conflict between science and religion and conclude, rather frighteningly, that in the future, technology will have more of an impact on our spirituality than religious leaders. But whether that will be for better or worse is "a matter of personal taste," he said. He would consider setting a book in Ireland because he is always fascinated by places where religion has caused conflict, he revealed. And we learned that he does most of his writing at 4am. In his pyjamas. But it seemed sweetly appropriate that the last word went to Pixar co-founder, Ed Catmull - the final speaker of the final Dublin Web Summit - with a nostalgic clip of Toy Story, incredibly celebrating its 20th anniversary. It took four years for Pixar to turn the fortunes of Disney around. Now the two groups love to share with each other, he said. "It makes them stronger". If only the Government and the Web Summit would consider taking a few tips from cartoons.